The high level knowledge deployed within the framework of inCASA will be distributed to the research community by publication of the most significant achievements in top quality conferences and scientific journal. The members of the project will write both academic and technical papers, to be presented at conferences and trade shows, and published in leading academic medical and technical journals. The results of the scientific research work will be continuously submitted for publication to international, peer-reviewed journals and conference proceedings fostering maximum impact of the project results on the scientific community. inCASA addresses to broader range of scientific journals and conferences, since it incorporates different novel technologies from network, applications and services perspective. inCASA’s smart environment incorporating sensor networks, middleware enabling privacy and security along with new User Interfaces for the control of the underlying complex infrastructures, offer the opportunity to participate in conferences and journals concerning Wireless and Mobile Technologies, Communication Networks, as well as Pervasive Communication. Furthermore, the social impact of the project provides the opportunity to the participants to attend conferences concerning socio-economic aspects of network technologies. In addition, since inCASA deals with the development of a smart environment facilitating elderly people’s everyday life including health-care monitoring, it is possible to offer great impact on medical research communities. Thanks to the international scientific reputation of many participants to the project, and their proactive participation to organisation of conferences and workshops, the project will find opportunities to deliver talks or key-note speeches, and to participate to panels to disseminate the project ideas and concepts (and when appropriate also organise them). 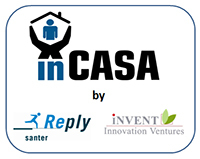 Moreover inCASA will increase the number of students trained in the field. Within the partners, there are already a number of Ph.D. students working on sensor networks and remote monitoring, topics that are very important in inCASA. We expect that the inCASA project will attract even more high level students, increasing the number of European specialists in this area. Their work will then be carried into other academic institutions, and new workplaces.